Below Reichenbachfall, a spectacular waterfall near Meiringen, Canton of Bern, Switzerland. This photo was taken in the morning of a rainy day in August of 2005. 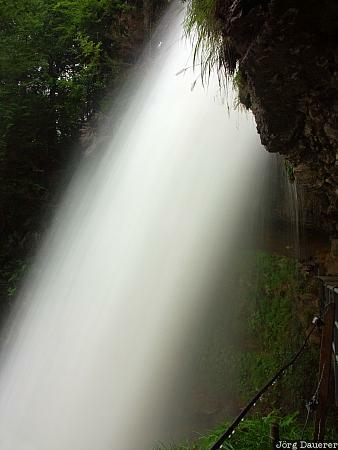 This photo is part of the exhibition Waterfalls (June 2009). This photo was taken with a digital camera.